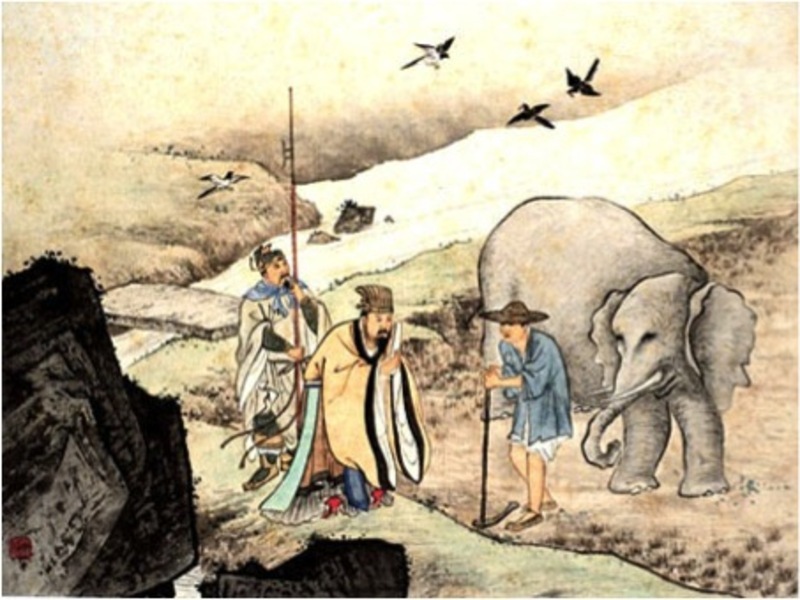 Not much is known about Master Mo, but he was certainly the founder of Moism, one of the four major schools of the Period of the Hundred Philosophers (along with Confucianism, Daoism, and Legalism). His disciples collected his sayings and dialogues to make the Mozi text, just as the disciples of Confucius and Mencius did. It is believed that Mozi lived sometime between the death of Confucius in 479 BCE and the birth of Mencius in 372 BCE and that the Moist school was flourishing around the year 400 BCE (the same time as Plato and Aristotle in ancient Greece). One ancient work says that Mozi studied Confucianism at a Confucian school, but then became disgusted and developed his philosophy in opposition to Confucianism. Mozi does frequently quote the Book of Odes and the Book of History, books that Confucius compiled as textbooks for his students. We know that Confucianism and Moism were both flourishing and in competition at the same time from texts like the Daoist text the Zhuangzi (in which Zhuangzi states that what the Confucians call right the Moists call wrong and vice versa). Like Confucius, Mozi likely traveled to schools and noble courts expounding his philosophy and seeking students and supporters. 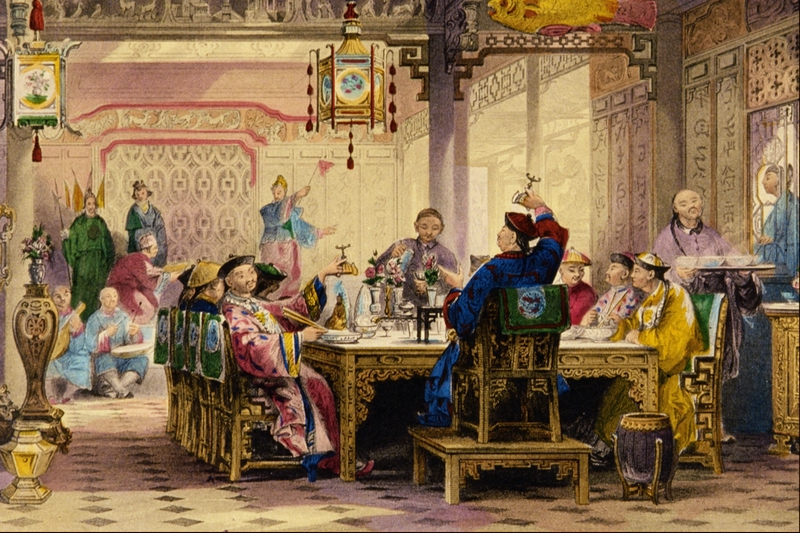 Nobles and other wealthy individuals would often put on banquets and debates for education and entertainment. Because Mozi was a great critic of the excesses of the powerful and champion of the common people, some scholars have speculated that Mozi was of the lower classes. He may have been a craftsman, as he often uses metaphors such as a compass, carpenter’s square, and plumb lines. Some even say he could have been an ex-convict and Mo meant tattoo, like the sort used to brand ex-cons as a punishment (thus, Mozi would mean ‘Master Tattoo’ or ‘Master Tat’). These scholars are likely thinking of Zhuangzi’s use of ex-con teachers countering Confucius while playing the Moists and Confucians against each other. 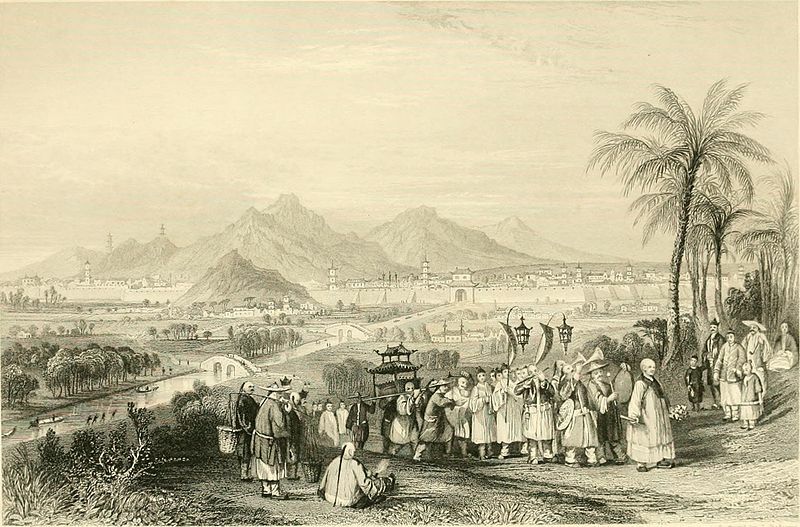 While Mozi criticized the luxurious excesses of dancing girls and music of the wealthy, particularly in light of the suffering of the poor and oppressed as the wealthy spent vast sums of money on extravagant entertainment, it is unlikely that an ex-con would have access to the noble courts and fine houses that Mozi frequented in seeking to expand the influence and membership of his school of thought. Unlikely, but perhaps his teachings and following were impressive enough to grant him aristocratic audiences. How could Mozi get away with criticizing the powerful? Mozi argued (as did the Confucians) that it is behavior that makes one a good person and not high birth, arguing for meritocracy over aristocracy like the Confucians. As in ancient India, and common in all human cultures ancient and modern, the top ranks of power are in constant struggle with the up and coming powers. In India, Buddha, Mahavira and other great philosophers were second class educated who were critical of the upper class and older traditions. 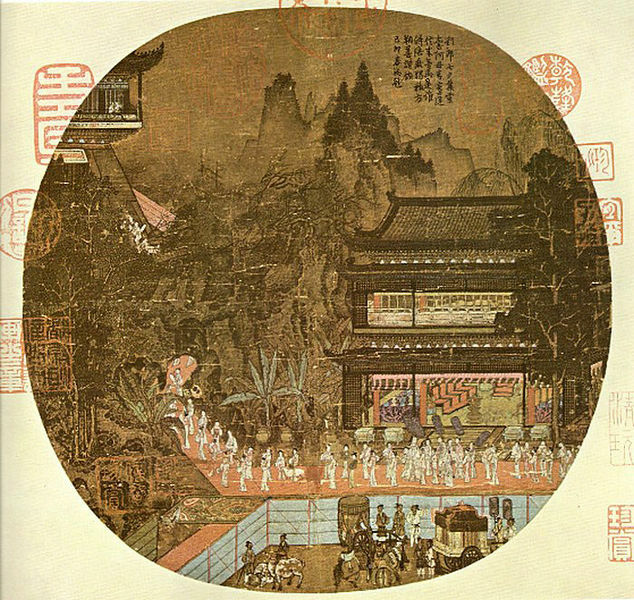 In ancient China, Moism and Confucianism (as well as other schools) appealed to the newer and lower nobles and wealthy who did not have the finest families but surrounded themselves with the talented and new artists and thinkers. These ‘new rich’ patrons would have found much in Moism, Confucianism, as well as Daoism. Unfortunately, it may have been the hard-lining Moist stance against the top levels of society that ultimately resulted in the downfall of Moism when the Qin unified China and endorsed the Legalists, followed by the Han who endorsed the Confucians and Daoists. Moism was neglected for 1,500 years afterwards. It was only in the times of Song Neo-Confucianism, ironically, that Mozi was reexamined along with Buddhism and put in a Confucian context. 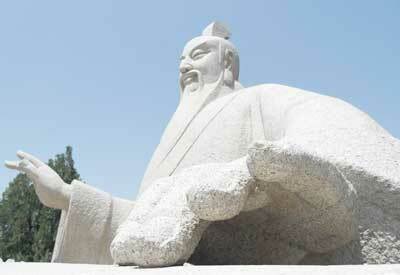 Like Xunzi, Mozi was exceptional at examining the validity of beliefs. He had a system of three tests. 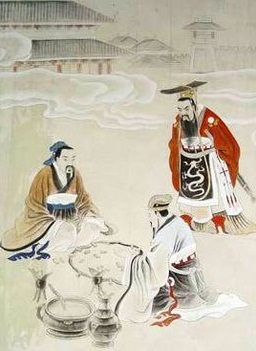 First, one should seek the origin of the belief (remember, the ways of the sage kings were highly valued and used by most schools of ancient Chinese thought, and Confucians, Moists and Daoists each argued that the great Sage Kings such as Yao and Shun had used their own ways in the ancient times of great prosperity and culture). Second, one should seek the empirical validity of the belief, or how well the belief corresponds to what we have discovered to be true based on evidence. Interestingly, Mozi argues that there must certainly be ghosts, as so many people have reported seeing them. We do know that a typical symptom of post traumatic stress disorder (PTSD) after engaging in violence is seeing victims in both waking hallucinations and in dreams, being haunted by those one has hurt. While most would today consider this haunting to be psychological, not supernatural, Mozi could certainly have traveled the globe and found much evidence across all cultures that ghosts exist and punish the wicked, which he argued was the natural morality of the universe. Third, one should seek the practicality and applicability of the belief, identical to the Utilitarianism of John Stuart Mill. Mozi was quite a Utilitarian, arguing that all things, including beliefs, should be used to maximize happiness and minimize pain for all of society. 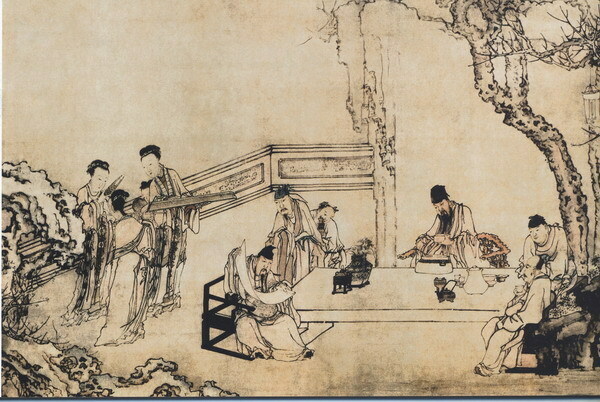 While he argued that this was the way of the sage kings, Confucians found many sympathetic to the counter-argument that such Utilitarianism threatened to do away with tradition, such as funeral practices and patronizing the arts. 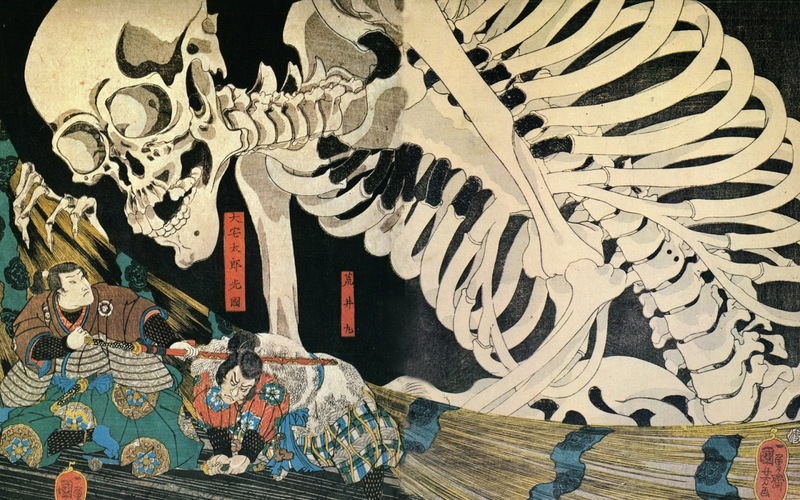 Mozi argued that the belief that ghosts punish the wicked is not only true based on the evidence, but on its usefulness. If evil people are afraid of being haunted and persecuted by ghosts for their crimes, it makes them less likely to commit offenses. For example, if you do not turn in all of your response essays, my vengeful spirit will haunt your grade point average until your dying day. On the issue of spirits and traditional folk belief, remember that Confucius was interested in preserving ritual but had not spoken of the Lord of Heaven but rather the Mandate of Heaven and the Dao, the Way, of Heaven, much like the Daoists, a move toward abstract philosophical monism. Mozi saw this as a dangerous departure from the ways of the ancients, and argued that there was a great and good highest god that views all equally as each individual should strive to view others as equal to themselves. 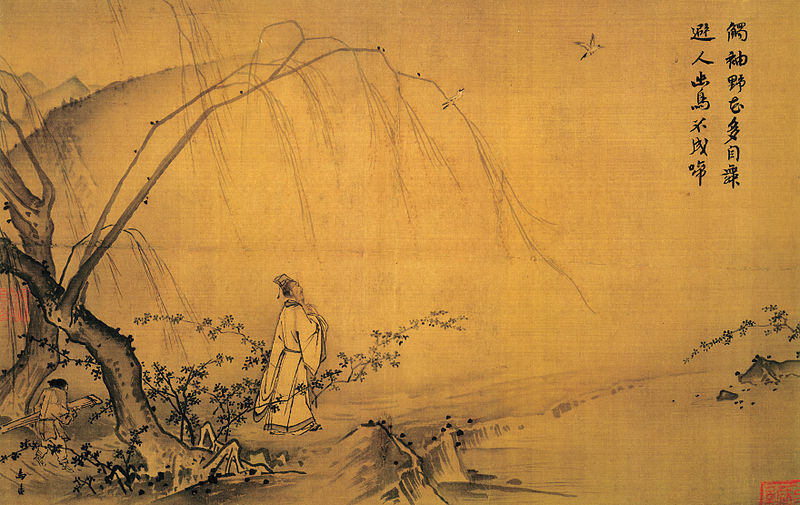 In the same way, while Confucius said, “You do not know how to serve humanity, how can you feed ghosts and spirits?”, Mozi argued that the traditional views of ghosts was correct and important for social morality. Mozi believed that the agnosticism and monism of the Confucians was not in line with the practices of the great sage kings, and that it was corruptive, encouraging the individual to be partial to themselves rather than serve others. 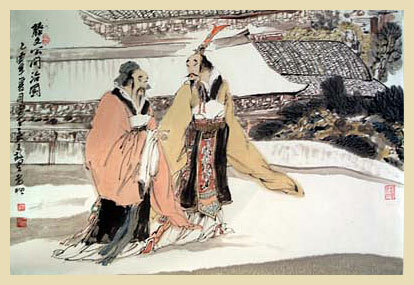 The Moists are most famous for their doctrine of universal love, which we discussed last time in dialog with Mencius. 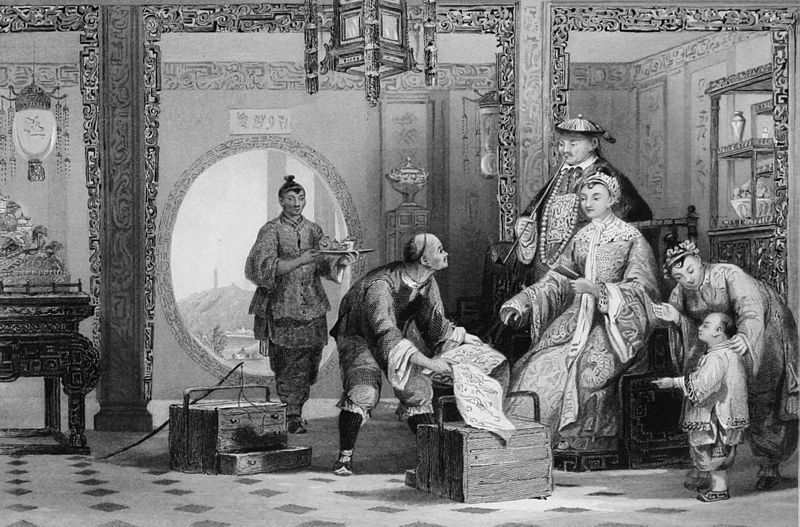 Mozi had the hard task of trying to convince rulers and common people alike that they should not only love others as themselves, which the Confucians also teach, but that they should love other families as they love their own families and love people of other countries as they love the people of their own country. In accord with his three tests, Mozi argues that universal love was 1) the practice of the sage kings, 2) is the best practice based on evidence of social behavior, and 3) is practical and could be put into practice within a single generation if enough rulers were convinced that it is in their own best interest as well as in their people’s best interest. Paradoxically, Mozi argues that when we look at things dispassionately, without the biases of a Confucian for their family or nation, we can see that compassion for all equally is the best strategy for a healthy individual and society. Not only does looking at things objectively and with emotional detachment give us the best mind for seeking truth, it teaches us about proper emotional conduct. Mozi argues that all problems, both of individuals and of society, are caused by bias and partiality. Just as we trust others when we know that they are impartial, judging them by their words and actions when they can benefit themselves more than others but do not, we trust our rulers and ourselves when they and we are impartial. Mozi’s ‘universal love’ is passionate, but it is akin to Buddhist emptiness, which as openness is compassion but also detachment. Mencius seems terrified by Moism, his major rival in Northeast China at the time, saying, “The ideas of Yang Chu and Mozi fill the world” (Mencius 3B:9). Yang Chu and Mozi were equal opposite extremes which Mencius feared would cause individuals to fall from the middle way and balance of opposites proper to the great cultivated person. Yang Chu, whose school did not survive the Qin and Han unification of China, taught a sort of social Darwinism, that it is everyone for themselves, while Mozi taught universal love, that everyone should care for everyone as they do for themselves. The Confucians’ doctrine of loving all but having particular love for one’s family, friends and country was offered as a middle way between these two extremes. Against Mozi, Mencius argues that loving everyone as one loves one’s own father is like one has no father, that loving everyone as one loves one’s own children is like one has no children. Considering the emphasis that Confucians such as Mencius put on following one’s father, this would be a great evil. Recall that Mencius argues against the Moist Yi Chih, also known as Yizi, Master Yi, that society began with the burial of the dead. Our early ancestors began to bury the bodies of those who died because they became distressed seeing animals and insects consume the bodies. Yi Chih does not object, and the text seems to present this as Mencius’ argument going unanswered and thus it being a victory for Mencius. However, why should Moist Master Yi object? 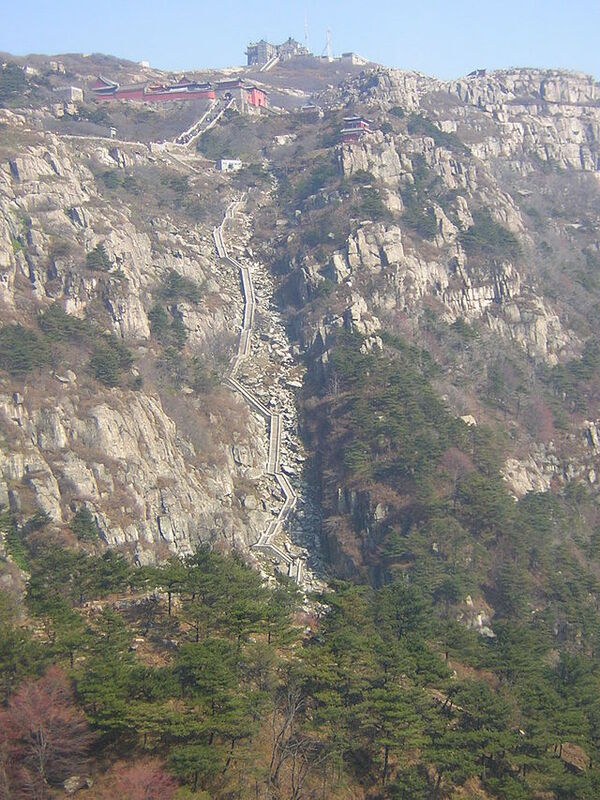 Mencius is implying that the ancestors buried their family and friends, but it could equally be argued that they buried those of their community, considering that communities were much smaller and more intimate in earlier times. Whether or not Yi Chih is aware of this, he could agree that the ancestors were disturbed at the sight of others and use this as further support that human beings naturally care about others as they do themselves. The Moists and Confucians seem to be presenting two sides of an issue that touches all cultures. 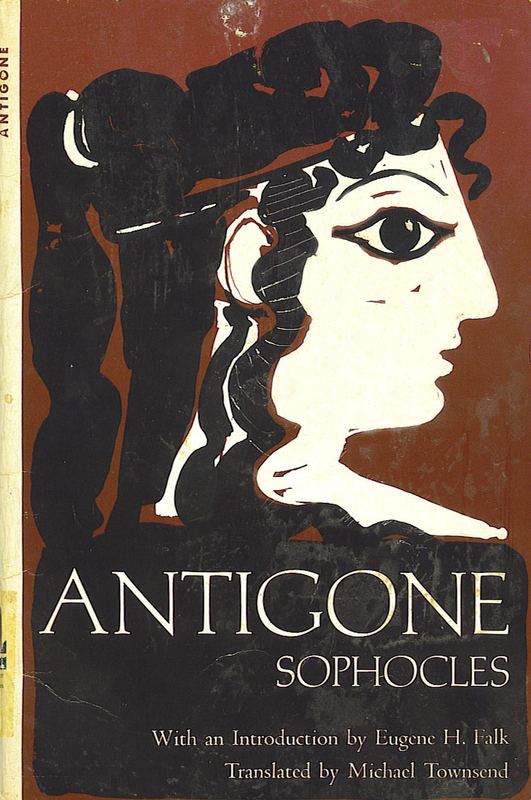 You can find a good example of the conflict in the ancient Greek tragedy Antigone. Antigone’s two brothers fight each other to rule the state, and when one kills the other, he takes the throne and orders that his brother’s body not be buried (clearly, this would creep Mencius out). Antigone is torn between obeying her brother, the state, and burying her other brother as an obligation to her family members. Antigone argues in court that she must bury her brother, as one must serve one’s family over the state, and she is condemned to death. In one passage of Confucius’ Analects (13:18), Confucius sides with Antigone, arguing that a son who testifies against his father for stealing a sheep is wrong for not protecting his family from harm. We can assume that the punishment of the father would injure the family considerably. Are the Moist and Confucian ideas of love incompatible? Is the love one has for others the origin of the love one has for those one is familiar with, or is the love one has for those one is familiar with the origin of the love one has for everyone? 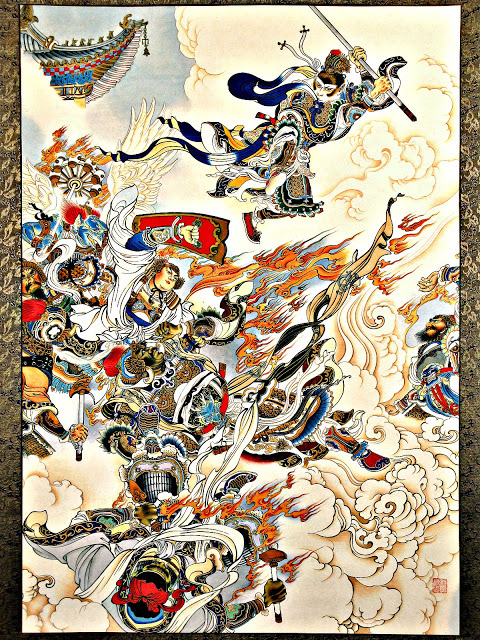 There is evidence that some during the Warring States period regarded them as complementary halves of the same truth. The Confucians such as Mencius argue as if the Moists wish to feed everyone a sandwich when they themselves want to eat a sandwich, which they argue is impractical. The Moists likewise argue as if the Confucians wish to feed only their families and have no obligation to anyone else. As a Moist, it is quite reasonable to believe that universal love allows one to take care of one’s own needs first, as everyone else should do for themselves, while keeping in mind that one must make the effort to ensure that all are cared for equally by society as a whole in addition to attending to one’s own needs. Likewise, as a Confucian, it is quite reasonable to care about everyone in society and the prosperity of society as a whole while taking care of one’s own needs and those of one’s family. Just like the monks Hui Neng encountered arguing over the flag and the wind, the Moists start with universal love and assume it will extend to the partial, while the Confucians start with partial love and assume it will extend to the universal. Taking care of the self and those close to you and taking care of everyone are complimentary and mutually supportive. It is true, however, that starting with one or leaning towards the other can create great differences in doctrines and policy. For example, Mozi wanted limitations on extravagant funerals and mourning periods (traditionally three years) for family members, as these benefit one’s own family more than they contribute to the good of society as a whole. If money is spent on funerals and time on mourning periods, it can not be spent ensuring the prosperity of everyone. 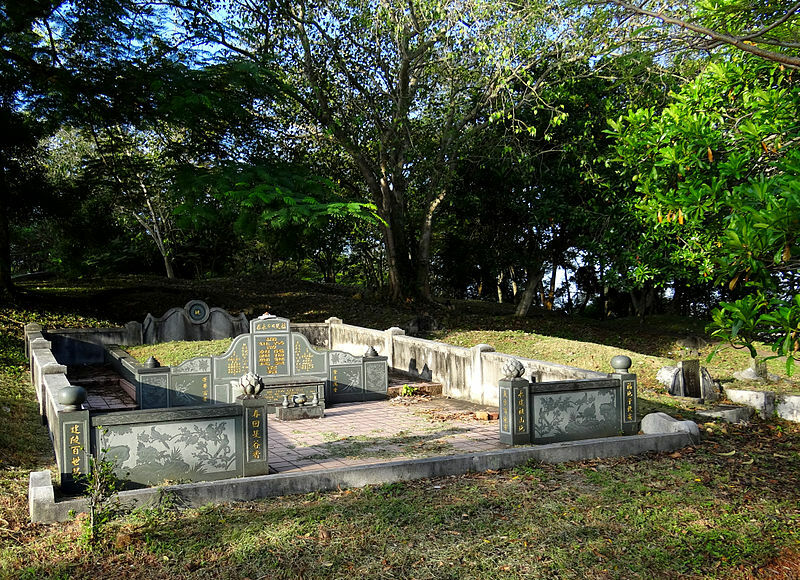 Confucians believe that one should provide decent funerals and mourning for one’s family members, as it is an exercise in devotion to those one shares one’s life with. 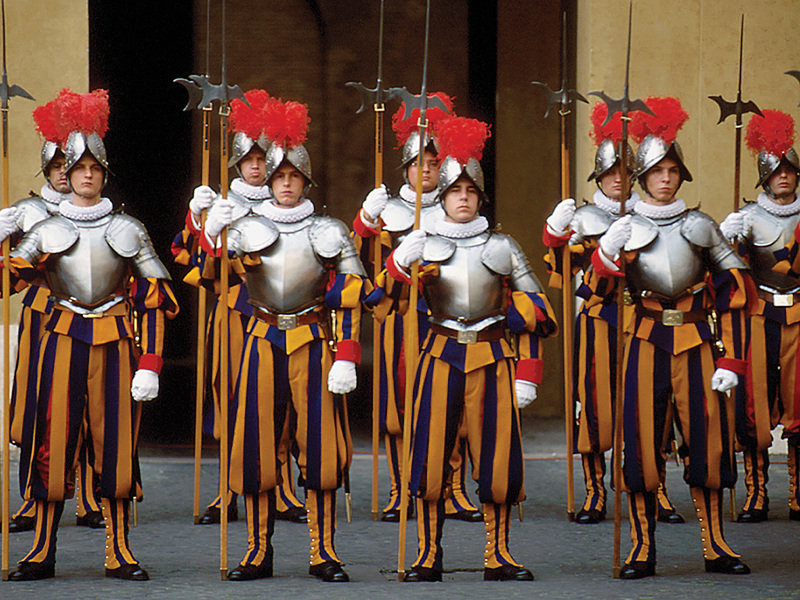 The Moists were known to be experts in both debate and warfare, and they excelled in both logic and military science, but for the purpose of self defense and defending the weak against the strong. Remember that the period of the Hundred Schools was also the Warring States Period, a time of instability when many who were weak were being abused and killed by local wars and bandits. Today, the Swiss embody this stance on war the best as they spend a decent amount on defense and bases from which they launch jets out of mountains but never go on the offensive, staying neutral in international matters. 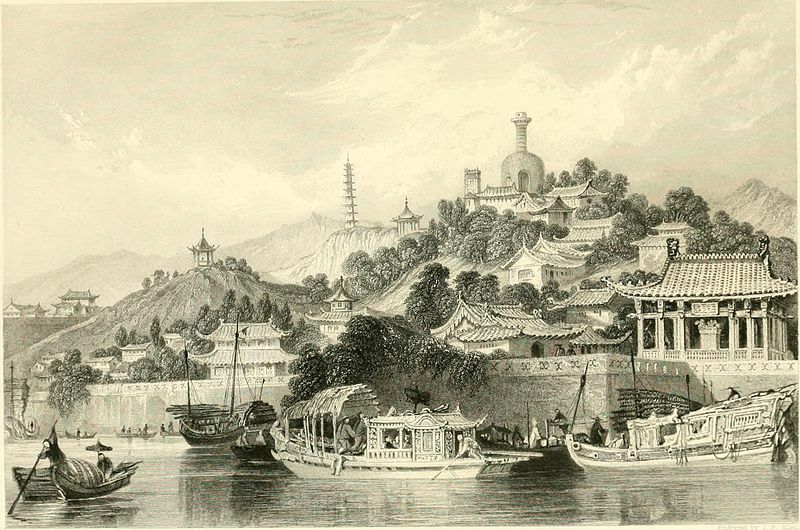 Unfortunately for Mozi and the Moist schools, the unification of China was a time of great prosperity for aristocrats, artists, entertainers and merchants. Mozi’s arguments that everyone should share equally and do away with extravagant entertainment cut against all of these rising groups, a likely factor in the Han supporting Confucianism and Daoism, but not Moism. Mozi did believe that art and music were valuable, but denounced the great productions enjoyed by aristocrats and merchants, arguing that they should use the money to feed farmers in times of famine and orphans. While the Confucians and Daoists argue for similar benevolence, the Daoists in particular suggesting that it is better to feed the common people then become attached to luxury, Mozi’s focus on entertainment as a particular target did not win him or his later schools much patronage. Additionally, Mozi’s insistence on retaining popular theism and folk beliefs did not win him much favor. 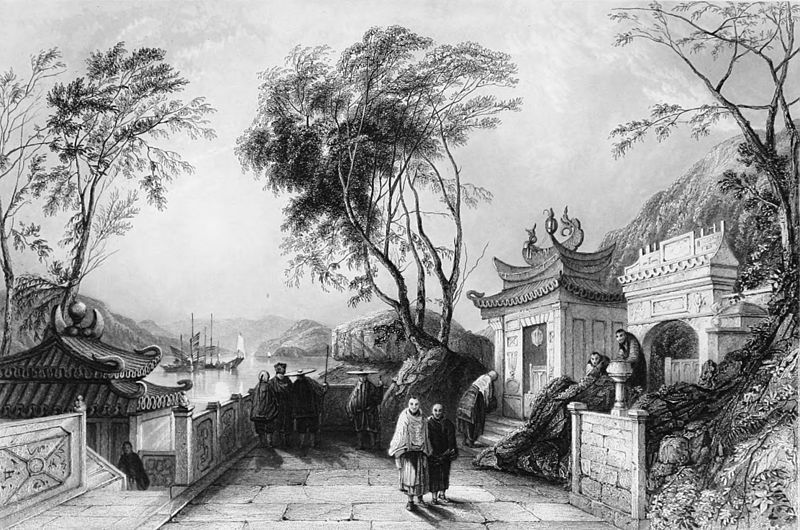 The philosophical monism of the Confucians and Daoists, while clearly blended with popular theism and spiritualism in the traditions, caught on with rising cultures of scholarship and the new aristocrats who found the new monistic interpretations and discussions attractive at a time when scholarship and culture were progressing in leaps and bounds. I gave you readings from the Mozi, selections from the chapters Universal Love, Against Offensive Warfare and Against the Confucians, but I will be lecturing on more than these sections. The Mozi text is often edited, as it has three versions of most of the chapters. Scholars believe that this was due to there being three major competing schools of Moism around 400 BCE, which would have been thriving in the time of Mencius as he debates with various Moists. Sometimes the text speaks as if from the mouth or brush of Mozi himself, while at other times quoting him in the third person (“Mozi said…”). In the section Honoring the Worthy, Mozi argues that the way to lead a people to prosperity and out of poverty is to employ and promote the best people. Interestingly, Mozi later argues that it is improper to take better care of the worthy or to care for them more than the unworthy, and he claims that Confucians, who also believe in meritocracy, make this mistake. 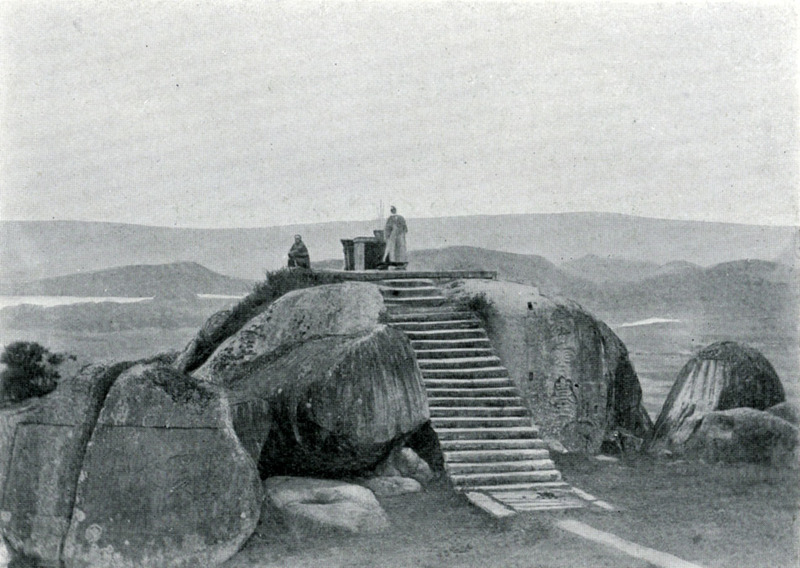 Mozi sites the example of the sage emperor Yao selecting Shun as his successor to show that this was the practice of the great ancient patriarchs. In the section Identifying with One’s Superior, Mozi says that before there were laws and culture in prehistoric times, everyone had different views and the world was a brutal place without regard for family or anyone other than the self. Civilization occurred when people subjected themselves to rulers and their laws. 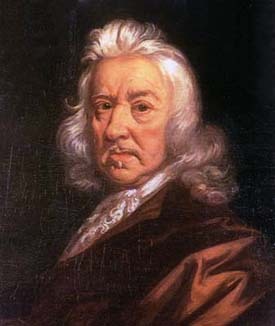 This picture is identical to that of Xunzi as well as Hobbes, the British political philosopher of the 1600s. Mozi says, like Hobbes, that one must subject one’s own will and decisions to that of one’s superior, but unlike Hobbes and like Confucius, Mozi argues that if one’s superior is wrong they should be told by subordinates. The lowest of people should report all good and bad to their superiors, but then do what they are told by their superiors. Mozi argues that the Lord of Heaven, the highest god, will support the good and dethrone the bad, naturally creating a just society. In spite of the fact that Mozi believes in radical and nontraditional reforms (though Mozi argues that they were the ways of the sage kings), he is critical of Confucianism for supporting rebellions against unjust rulers. There is a bit of a conflict here with his views in Against Offensive Warfare. Mozi argues that self-defense is always preferable to offense, and it would seem this includes mounting an offense against one’s own rulers. 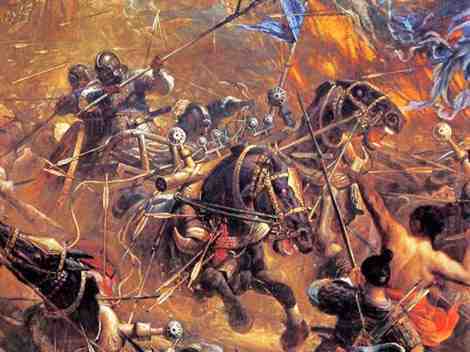 However, in order to answer those who say the ancient sage kings went to war, he makes a distinction between offensive warfare for gain and punishing an unjust ruler, which he says is what the sage kings did whenever they went to war. It seems that if you are a ruler it is alright to use war as punishment against a neighboring unjust ruler, but not if you are the subject of an unjust ruler. 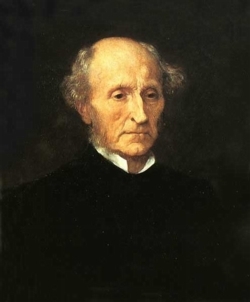 In the section Universal Love, Mozi begins by stating that the good person seeks to promote what is good and reduce what is harmful (identical, again, to the Utilitarianism of John Stuart Mill). He argues that the greatest harm is powerful states and families attacking the weak states and families and the strong oppressing the weak. All this comes about not by love but by hate, not by universality (caring about the whole) but by partiality (caring about part of the whole as opposed to another part). Partiality must be, therefore, replaced with universality. 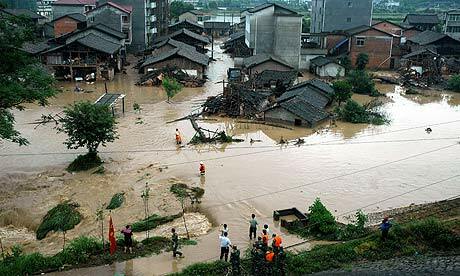 Mozi uses the example of using a flood to counter a flood (fighting water with water) or putting out a fire with another flame (fighting fire with fire). To fight partiality with partiality (such as fighting one army with another, each wanting exclusive control of a territory) will not work. The only way to defeat partiality is through universality, just as the way to fight fire is with water. If rulers and people saw other cities as they do their own, then they would not attack them but rather give to them and inspire the others to give back. While many in his time as well as today would be skeptical of the practicality of this, Mozi argues that it is not easy but it is the only practical solution to warfare and poverty. If everyone helps others with their talents, caring about others and receiving goods from society equally, it will create the most prosperous society. Mozi argues that this can be put into practice or even he would be critical. 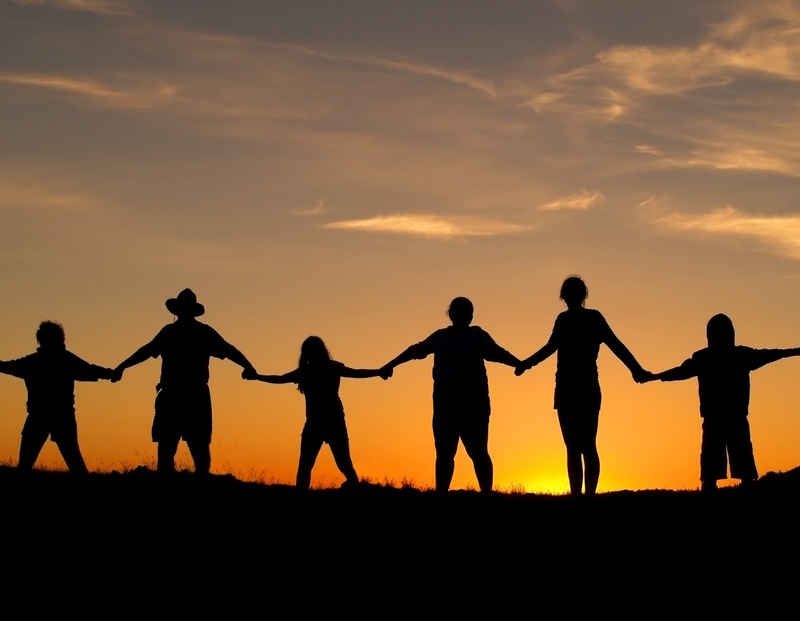 We naturally trust the universal person with our family and possessions more than the partial person. 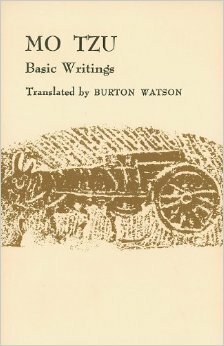 He uses the example of a man going to war, who would trust his family to the universal rather than the partial man. Therefore, we naturally love and trust the universal ruler more than the particular ruler. He argues further that if one cares about one’s parents, caring about others as one cares about one’s parents would be the best way to take care of one’s parents, as others would care about one’s parents and provide for them as they do for themselves. 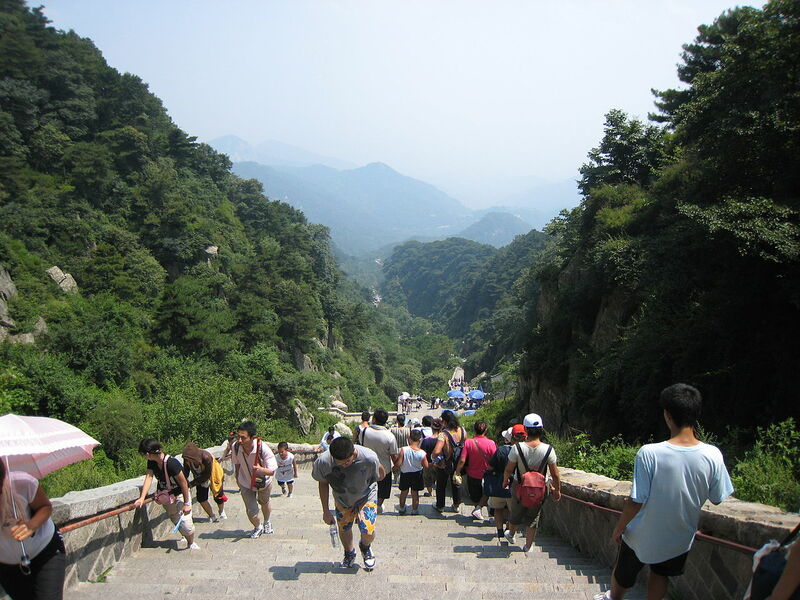 Mozi mentions that critics have replied that universal love and a universal society is as impossible as picking up Mount Tai, the largest sacred mountain of China, and leaping over a river with it. Mozi responds that the ancient sage kings practiced universal love, proving it is possible. Whether or not the sage kings did love everyone equally, it may be problematic to insist that their subjects all joined them. There is, however, a problem with this view that Mencius mentions: we do in fact see people naturally loving their own more than their neighbor, just as we do see people trusting partial rulers rather than universal ones. Mozi says there are no fools in the world like this, that everyone knows a universal person is more trustworthy than a partial person, but experience does show us otherwise. However, he argues that if the people saw rulers that fed and clothed everyone equally, there could be radical change in society within a single generation. He argues that King Ling liked slender waists, so his subjects all went on a one-meal-a-day diet within a single generation, that King Kou-Chien liked bravery, so his subjects became brave warriors within a single generation, and Duke Wen liked course clothes, so his subjects began to wear coarse clothes within a single generation. If people can change these ways within one generation, how much more would they benefit from universal love and care? While it would have problems, it is not necessarily impossible. Confucius did say that no one, including himself, is perfect. “Won’t somebody think of the spirits?” argument. Mozi argues that if people want a prosperous society, they would do better to flourish through peace than steal through war. In the section The Will of Heaven, Mozi says that people can hide from their families in another house or their rulers in another land, but they cannot hide from Heaven (the way of things, or reality). If one does good, then one prospers. If one does evil, one perishes. The Will of Heaven, the way of things, is “like a compass to a wheelwright or a square to a carpenter”, giving a model for matching the curved and the straight. In the section Against Confucians, Mozi argues that the Confucians are wrong about degrees and gradations of love based on one’s relationship to one’s other. Mozi argues that it is wrong to love one’s family and state more than other families and states. 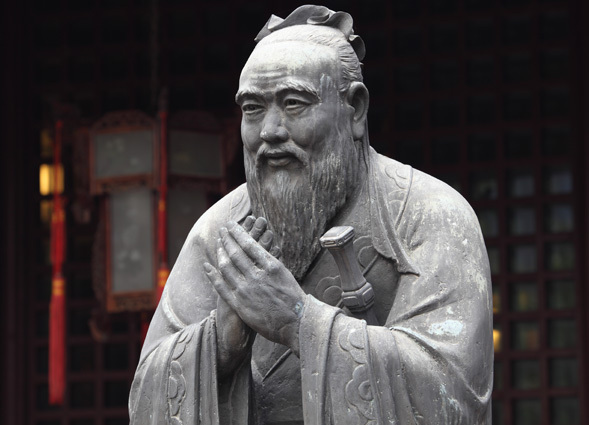 He argues that both Confucius and Confucians are hypocritical and often pay more attention to matters of ritual than to the deeper underlying problems of society. 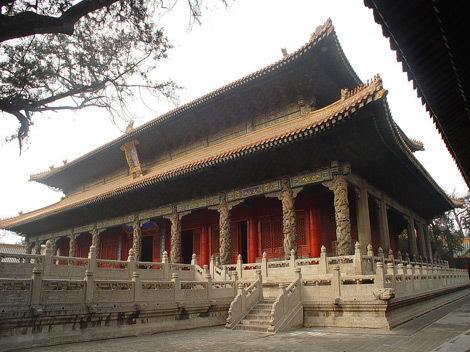 He attacks Confucian practices of mourning, weddings, and fatalism and says they produce contradictions and hypocrisy. He argues that the ancient ways were once new ways, so why should we honor the ancient heroes and sage kings for invention, innovation and change by sticking to the old ways? 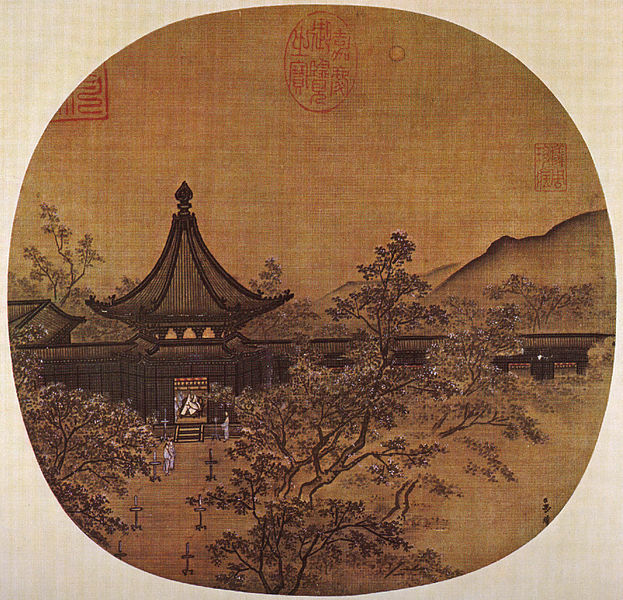 Mozi believes that the Confucians are drawn into caring about the trivial while at other times supporting the substantial revolution that society requires. At times, they believe in silence and deference to authority even when it is wrong, but at other times they endorse rebellion. It seems that Mozi sees the Confucians as destroyers of tradition, the same way the Confucians see the Moists.